For handmade car maker Rolls-Royce (now owned by BMW), putting rare pieces of artwork on its dashboard is a warranted excess. For the eighth generation of its luxurious Phantom line, Rolls-Royce has reserved precious dashboard real estate for a unique piece of artwork. Located above the glove box and just beside the front passenger air conditioning vent, a rectangular panel frames a custom artwork. Options for buyers include gold textures by Thorsten Franck, who uses an algorithm to turn the customer’s personality into a pattern. 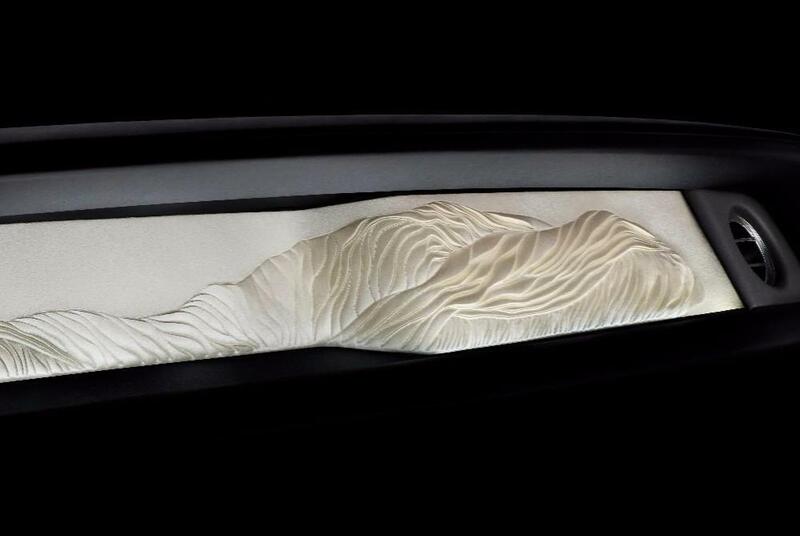 Buyers may also commission works with textured silk and ceramic roses for the Phantom. Rolls-Royce is calling the feature ‘The Gallery‘. Just like other precious artwork, a solid piece of glass will protect whatever one-of-a-kind piece is permanently displayed in the vehicle.